Tokyo-based psychedelic group Kikagaku Moyo share another taste from their forthcoming album 'Masana Temples', to be released 5 October via Guruguru Brain. This time, it's the video for 'Nazo Nazo': a slightly more delicate but ever so dreamy track with surreal and nostalgic video courtesy of director Elliott Arndt. Watch below. 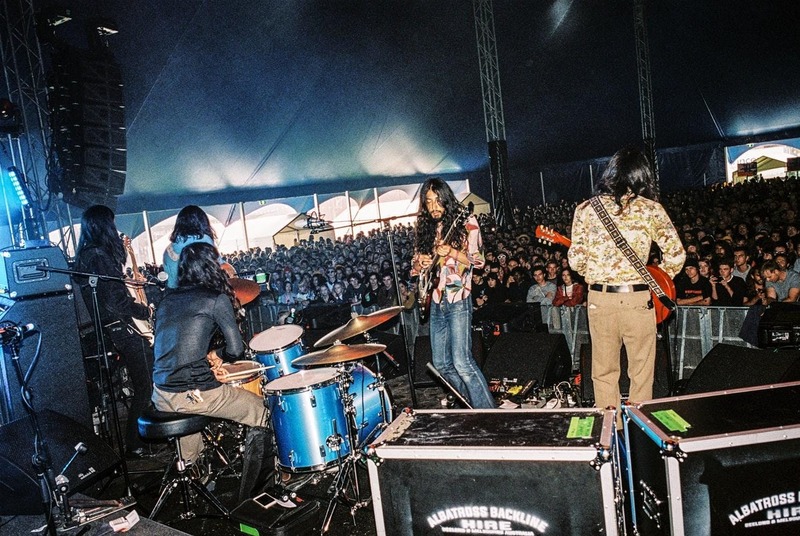 Kikagaku Moyo give two performances at Le Guess Who? 2018; one of them a one-off collaboration with Ryley Walker entitled 'Deep Fried Grandeur'. Also performing at the festival are a.o. The Breeders, Shintaro Sakamoto, Psychic Ills, SASAMI, Please The Trees, STUFF., Vera Sola, Mudhoney, Bo Ningen, BCUC, and many more.